Puffy Chunky sweater is my first design. 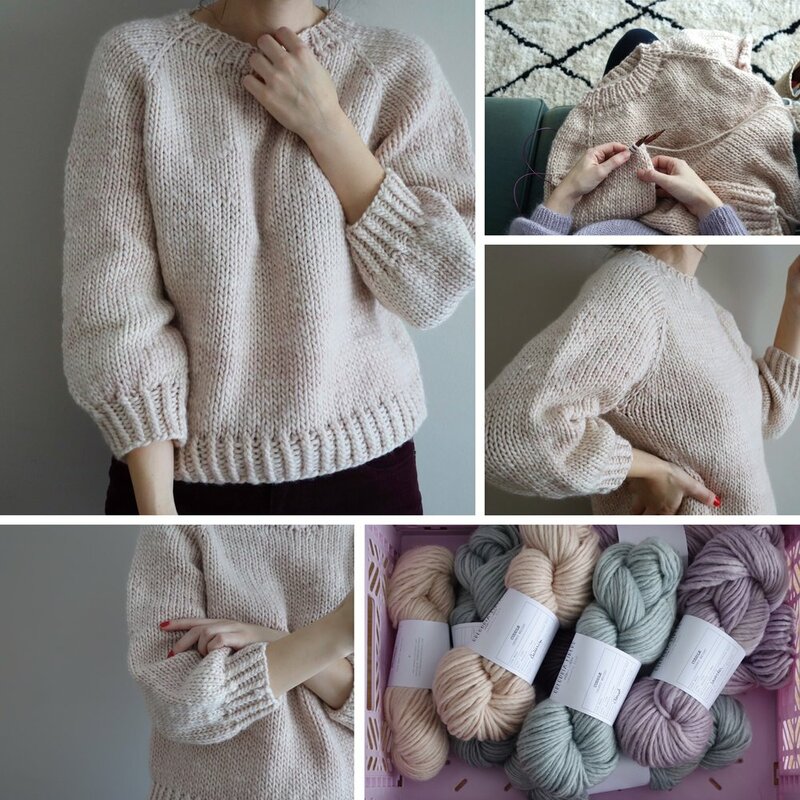 The idea of this chunky sweater came across when I received this new base, Cuddle Chunky. I immediately began swatching and I knew I wanted to turn it into a warm and confortable piece, because that is exactly what the yarn was telling me. The dense and substance yarn creates the perfect layer for a winter piece. This sweater is designed for a classic fit with approximately 2.4” (6 cm) of positive ease. The measurements given for sleeve and body length are easily adjustable as desired. The raglan increase are worked by using the lifted increase technique and worked on alternative rows before and after the markers. Super puffy and soft loosely spun pure wool yarn that invites to snuggle in. The yarn is so much fun (and fast) to work with! Chunky weight 100 g - 100 meters.